I check my Amazon sales every night and continue to be amazed and very grateful at the sales! I would neverr have believrf it possible if I hadn’t seen it happen to me. I’m one of those who received a Kindle Fire for Christmas and my husband took my Kindle 3. I think the 3 was easier, but probably only because I’m still learning to operate the Kindle Fire. Very easy to read the Fire’s screen. Happy New Year, Anna! I just finished reading Snowfire and really enjoyed it. Plan on checking into your other books…..
Hi, Caroline…and Happy Holidays. I, too, lost my Kindle to my spouse. 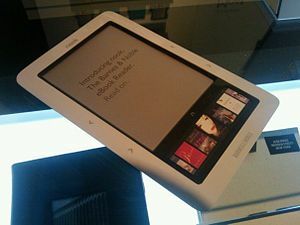 I dithered and dithered over getting a KindleFire for myself and ended up buying an Android tablet from Vizio. That’s not to downgrade the KindleFire. It’s just that the Vizio is more like an iPad. Not as powerful and not as sleek, but still enough for me. And I can download the Kindle book store onto if. If I ever figure out how, that is. ….. Anyway, congratulations on your success at selling your e-books. Nothing tastes as sweet as success. I don’t have a Kindle. Yet. I realize that I can be e-reading for less than $100 if I don’t need web surfing capabilities and a color screen. And when I go to Amazon.com and see the difference in price between Kindle books and print books, I realize that my Kindle could pay for itself rather quickly. Next paycheck? I’m ordering a Kindle. Good for you, Mary, on your decision to get a Kindle. I love the one we have. It’s been the most wonderful experience in electronic devices my husband has ever had. He’s always been a reader, but now he’s reading even more. One of the features he loves is being able to enlarge the font to where he can read without his glasses. ….. Hope you had good holidays and thanks for posting. Check with your public library….I have a service for my patrons called Overdrive. It is a borrowing service for e-readers….any kind….iphone, ipad, nook, kindle, sony etc. Some free books are also found at Open Library. The times they are a’changin. Hi, Peggy ….. Indeed they are. How long will it be before every school kid will be required to have an e-reading device? Not long, I predict. …. I know people are reading books on iPods. I hear comments from them about it. I can’ imagine reading a book on a screen that small, but an awful lot of people do not seem to mind it. ….. Hope the holidays were pleasant in West Texas. Thanks for stopping by.. I agree with you. There is a true reading revolution taking place. When you look at Amazon’s bestsellers, they have shifted considerably over the past two years. The low-priced e-books take up quite a few slots in the top 100. And I am also amazed how many of the favorite free classics, such as ‘Alice in Wonderland,’ ‘Pride and Predjudice,’ ‘Tale of Two Cities,’ etc., etc., never drop out of top free 100. 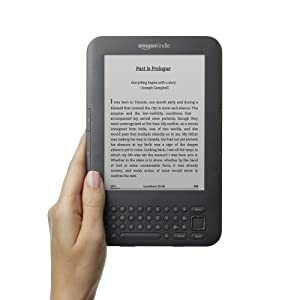 I bought my husband a kindle this Christmas not knowing if he would take to it. He primarily reads non-fiction, and I don’t remember the last time he read a book of fiction. He is currently reading his fourth classic! One other aspect feeds into this revolution, which Amazon does really well: free or low-priced promotional offers. I have discovered great authors this way, such as Lisa Wingate, Deeanne Gist, and Julie Klassen. I have subsequently bought more of their books at regular price. We all have finite budgets and reading time, and from my perspective, these promotions are a win-win situation for both reader and author. Hi, Kerstin ….. And Amazon is only going to keep growing. I’ve always thought Jeff Bezos is as much a genius as Steve Jobs. ….. As for new authors, some of the who are hitting bestseller lists have been rejected by New York print publishing or have never even submitted to a New York publisher. Take Amanda Hocking. After selling millions of books on her own, one of the Big 6 finally offered her a multi-million dollar contract. ….. So the publishing landscape is changing faster than we can keep up with it. Who knows where it will be a year from now. ….. Thanks for giving us your comment. And Keep reading! ….. Also, Happy Holidays! The Kindle was the greatest thing that ever happened for me in the reading world. My husband bought me one the day they came out several years ago. It eventually went defunct and I bought the Kindle II. Now that one has re-charger cord problems. Luckily I got an Ipad last year and I absolutely love it as I can not only read books but play games and get to the internet. I have also discovered quite a few new authors and love scanning the less expensive book list. It is just so darn convenient to take it with me without having to lug extra books in my luggage..or worse yet..runnning out of something to read..”Horrors”!! I still buy a hardback book now and then, and still use the public library quite a bit, but 98% of my book purchases are e-books….absolutely love e-books. Hi, Brenda…My husband would agree with everything you said. As I’ve said many times, he can’t even manage his cell phone very well, but he loves the Kindle. All very true. And thanks for the holiday wishes. No question about it, both Jeff Bezoz and Steve Jobs are extraordinary visionaries. It remains to be seen how Apple, as a gadget driven company, will fare in the future without Steve Jobs. With all the upheaval in the publishing industry, I keep wondering what type of vehicles will establish themselves in the long run as reliable sources for newly published books. With all the new opportunities also come new downsides, such as an increased flooding of the market with truly awful stuff. Who will be the new “gatekeepers”? I believe the new gatekeepers will be readers. Many of the editors in New York publishing are young women 30 and under. Their opinions of what makes a good book are no better than yours or mine. They know only what their marketing departments tell them is trending or what particular type of manuscript they need to buy to fill their line-up. Quality has little to do with it. A good example of that is the currently popular book and movie, “The Help.” That book was rejected by New York publishing 60 times (yes, I said SIXTY) before it found a home. And once it was published, it became a bestseller. Readers made it so. ….. The same dynamics that are at play with print books will continue with e-books. With print books, only a few books become popular because of any big push by their publishers. Any of the marketing experts in the publishing biz will say that the most influential factor is word-of-mouth. It’s true that publishers can help an author along by buying space for his or her book in stores, or asking booksellers to pay special attention to a particular author, but that only goes so far. At the end of the day, readers are who decide what the good books are. ….. The gorilla on the playground will now be Amazon and its reader ranking system. It’s my opinion that Amazon will have to clean that up to preserve its integrity. Interesting that you bring up The Help. One of my friends posted on Facebook that she had seen the movie, but it was not nearly as good as the book, and she much preferred the book. But having a book rejected 60 times brings up another question–how do you know when to quit submitting? Hi, Mary….Well, most of the time, movies aren’t as good as books. Usually, the book contains too much information to transfer into a movie, so the movie version has to be greatly simplified. ….. As for knowing when to quit submitting, I guess it boils down to a person’s patience and perseverance. I don’t know the history of “The Help,” but I understand she spent 10 years writing it, then no telling how many years submitting it if she did it 60 times. So she just have had a powerful belief in this story. ….. I doubt if I would have that much patience. I have about 25 rejections myself, which took place over a period of 6 years, and I was very close to throwing in the towel when NAL bought “The Love of a Cowboy.” ….. But now, authors no longer have to do submit themselves to that torture. If they can’t see a light at the end of the tunnel, and if they have faith in their project, they can try their hand at self-publishing, which a few have had great success at. Amanda Hocking, L.J.Sellers, Zoe Winters, Karen McQuestion, just to name a few.